The Fed is rapidly losing control. Core inflation has already broken above 2% despite a complete collapse in commodity prices (the cost of living for many household items). This happened when OIL was also imploding. Because core inflation is ABOVE 2% at a time when commodity prices were FALLING. The Government HAS TO adjust its models to account for this so that ANY RISE in commodity prices will PUSH inflation to the upside. 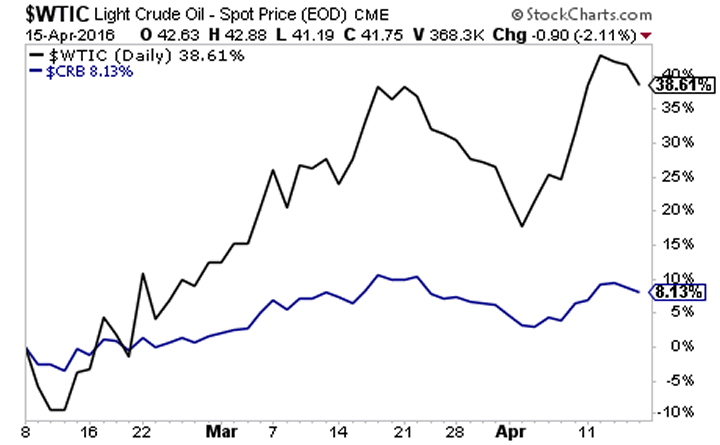 Speaking of which, since bottoming in February, Oil is up over 38%. Industrial metals are up 8%. Put simply, the inflation genie is out of the bottle. Core inflation is already moving higher at a time when prices of most basic goods are at 19-year lows. 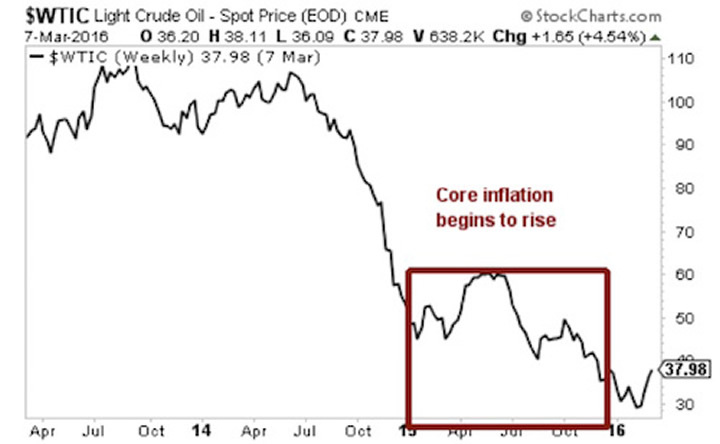 Any move higher in Oil and other commodities will only PUSH core inflation higher. The Fed is cornered. Inflation is back. And Gold and Gold-related investments will be exploding higher in the coming weeks. Indeed, I’ve already alerted subscribers of my Private Wealth Advisory newsletter to two such plays that resulted in gains of 11% and 41% in just six week’s time. This is nothing new for us, in the last 17 we’ve closed out 77 straight winning trades. Did I say, “77 straight”winning trades”?!? If you’re an investor who wants to increase your wealth dramatically, then you NEED to take out a trial subscription to our paid premium investment newsletter Private Wealth Advisory. Private Wealth Advisoryis a WEEKLY investment newsletter with an incredible track record. Last week we closed three more winners including gains of 36%, 69% and a whopping 118% bringing us to 75 straight winning trades. And throughout the last 14 months, we’ve not closed a SINGLE loser. If you have not seen significant returns from Private Wealth Advisory during those 30 days, just drop us a line and we’ll cancel your subscription with no additional charges. All the reports you download are yours to keep, free of charge. © 2016 Copyright Graham Summers - All Rights Reserved Disclaimer: The above is a matter of opinion provided for general information purposes only and is not intended as investment advice. Information and analysis above are derived from sources and utilising methods believed to be reliable, but we cannot accept responsibility for any losses you may incur as a result of this analysis. Individuals should consult with their personal financial advisors.